Happy Thanksgiving Turkey. 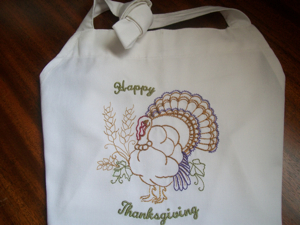 Quick stitching colorline design, great for a quick Thanksgiving hostess gift ! 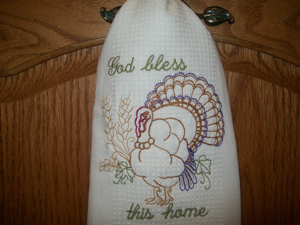 Perfect for towels, hot pads, a great choice for aprons and casserole totes. 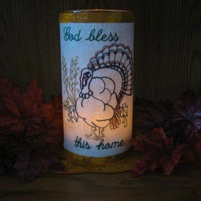 Surprise your Thanksgiving hostess with a thoughtful gift this holiday !!! CLICK THE PHOTO TO VISIT THE PAGE!